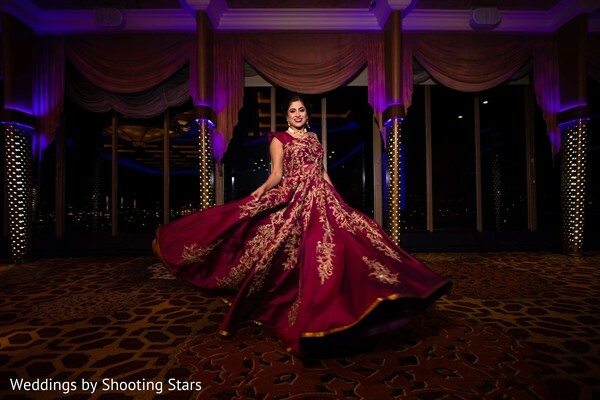 All posts with Style "Luxury"
The evening celebration of Eakta and Rahul was hosted at the Indian Community Center! 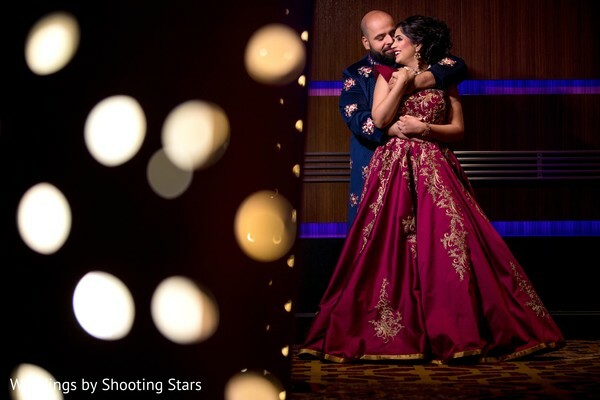 The couple spent some time posing for the camera of VisionOne Studios before they made their big entry and had the chance to present their fantastic reception styles! 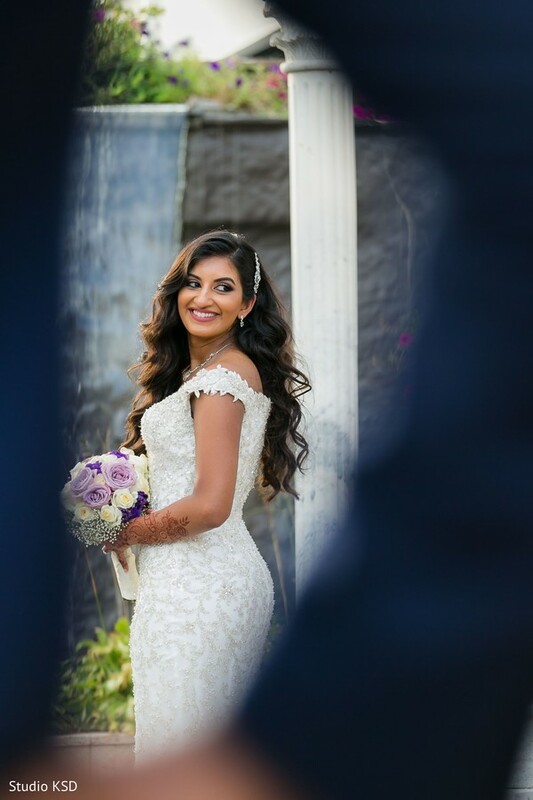 Our new Mrs. chose a dazzling silver gown heavily decorated with endless sparkly threads and sequins and adorned her beautiful hair waves created by TM's Makeup Artistry with an equally gorgeous tiara! 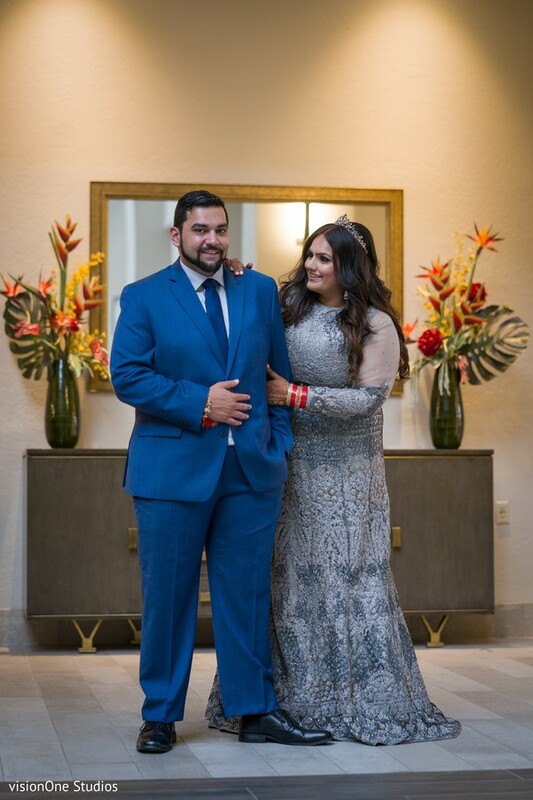 Rahul posed in a tailored blue suit that perfectly speaks the occasion and the groom personality! 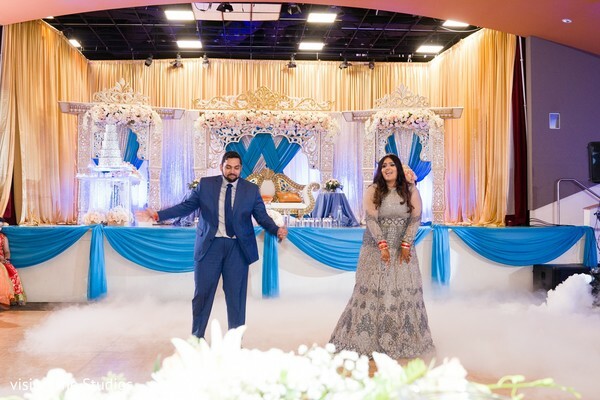 The twosome finally made their first appearance as a married couple and danced a choreographed first dance and later enjoyed along with their loved ones a mouthwatering reception dinner courtesy of Jalsa. 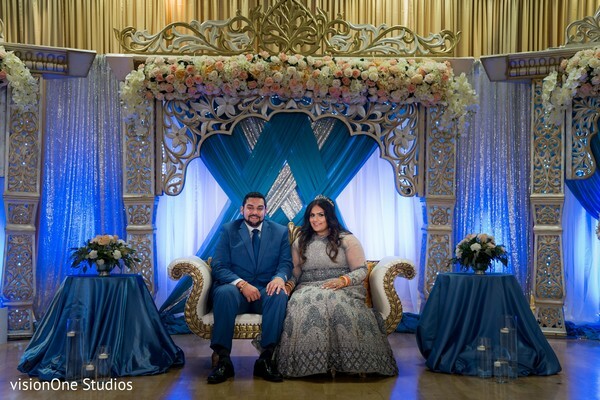 The wedding scenario by Eve Decor displayed the most splendid drapery and furniture besides a magnificent five-tier wedding cake elaborated by Sugar Butter Flour. 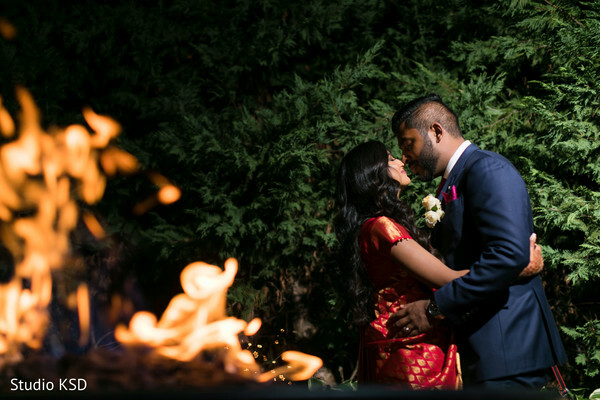 I absolutely adore the candid scenes of this lovely soiree and I'm sure you will love them too! 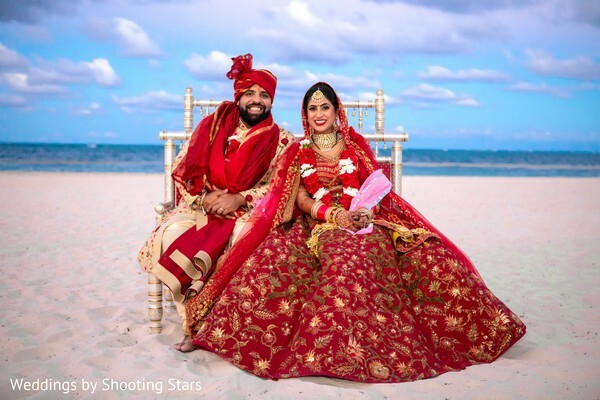 Take a glimpse at these charming Punjabi newlyweds in our full gallery now! Leave a comment below if you love this story as much as I did! TM's Makeup Artistry is a member of the Platinum Guide. Love what you see? Explore their portfolios. 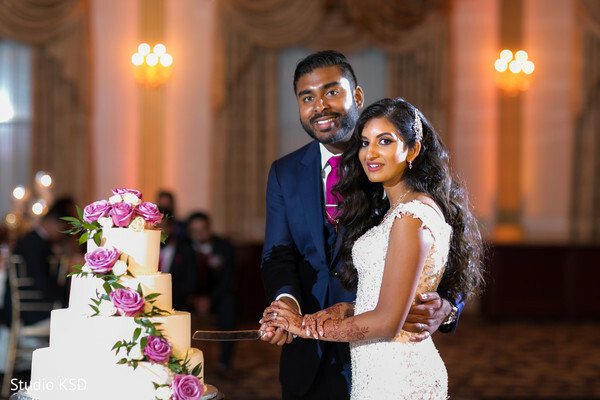 As promised, here we are again with the highlights of Daina & Justin's creative and elegant nuptials! Studio KSD created the pictures that have been putting us into a constant daydream. They were able to capture through impossible angles and precise moments the little details that are often missed but make an event outstanding like this one! Truly a journey ahead of us for this second installment. 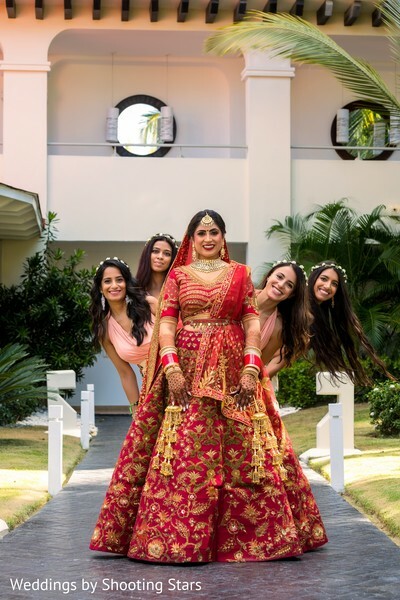 Our beautiful bride Daina wore a beautiful long white gown, and then slipped into a fabulous red silk saree that absolutely fell in love with! The elegant groom Justin was also looking sharp, wearing a deep blue tux with a magenta tie for the main event. 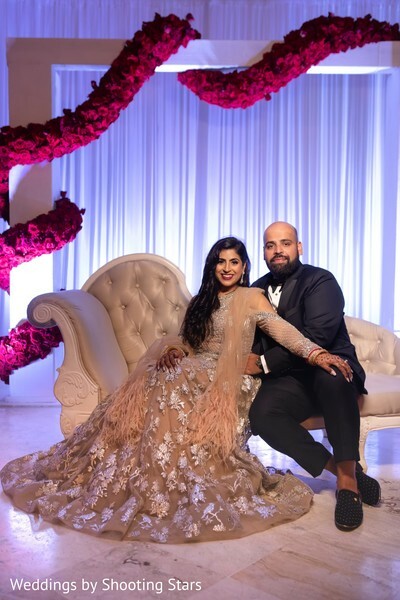 When the ceremony ended, the newlyweds rode to Lucien's Manor party ready with spectacular decor by Partyland Sajawat and refreshing drinks after a day of high emotions. What else can you say when pictures speak so loudly? 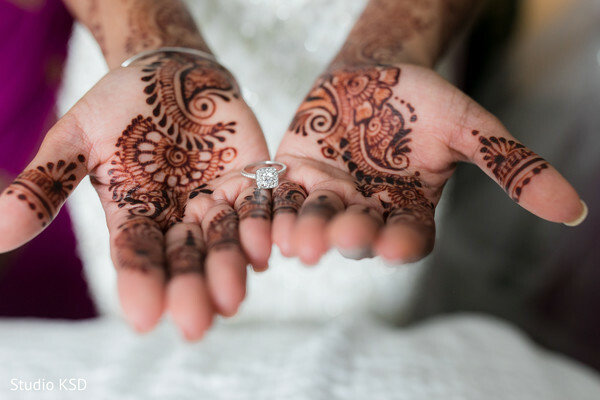 I'm certain you are going to love the elegance of today's featured gallery. Shall we? Justin told me that his friend was having a graduation party on a Saturday afternoon and that I should meet him at the Glen Foerd Mansion along the Delaware River in Philadelphia. When I got to the park, I saw Justin's brother-in-law in the parking lot and he told me that everyone was in the park past the building. However, when I turned the corner to enter the park, all I saw was Justin, standing across the field under a gazebo waiting for me. I walked towards him (which felt like it took forever) and when I reached him, he got down on one knee and asked me to marry him. I know he made a speech, but all I remember is finally getting out "yeah" in between the tears. I went wedding dress shopping for the first time with my mom, sister, and cousins. I tried on a few dresses until my cousin suggested I try on this off the shoulder, mermaid dress with a lot of work on it. It wasn't the style I was going for at all, but I decided to humor her and try it on. 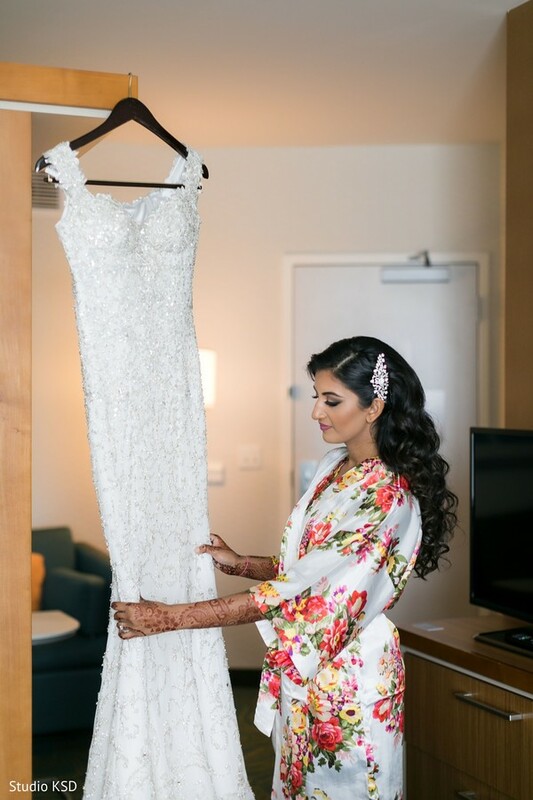 As soon as my family saw me in the dress, they were convinced it was my wedding dress. I was apprehensive about buying the fourth dress I tried on, but in the end, I knew that it was my dress too. 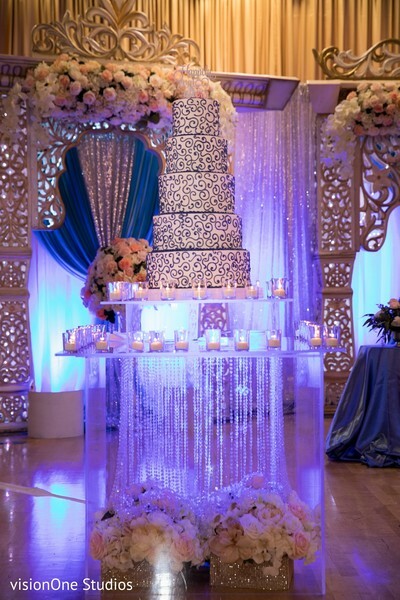 All of our guests commented on the decorations in the reception hall and DJ and MC. Partyland Sajawat did an amazing job with the stage and table decorations - they captured exactly what we asked for and I was shocked to walk into the hall and realize that it was meant for our wedding. DJ USA did an amazing job keeping guests on the dance floor the entire time and making sure everyone was having a great time. 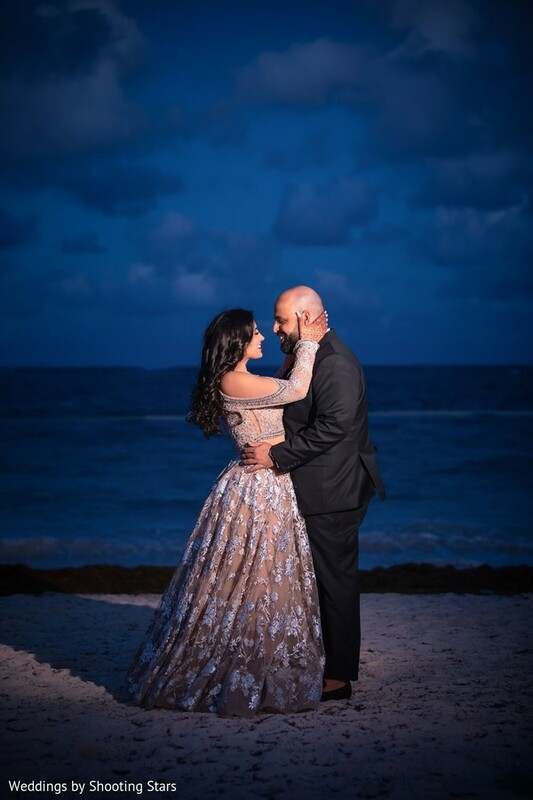 There were two really special moments that I think about for the wedding. The first was my dad's reaction when he saw me ready for the first time. I have only seen my dad with tears in his eyes on one other occasion, so seeing him tear up definitely made me emotional. The second was when I was walking down the aisle and finally saw Justin waiting for me. As I was walking towards him I saw him wiping with eyes and it was the sweetest reaction I could have ever hoped for. 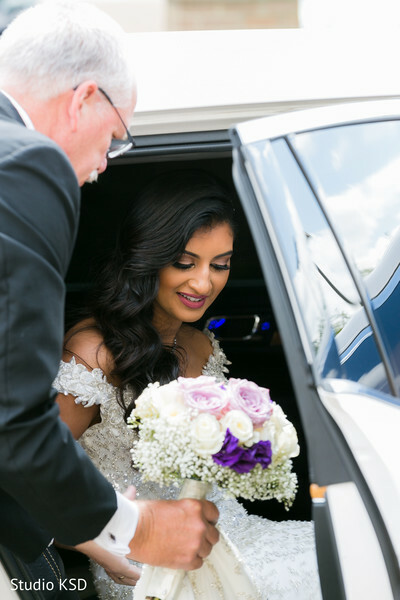 We were really glad with how our vendors stepped up to really help us on our special day. 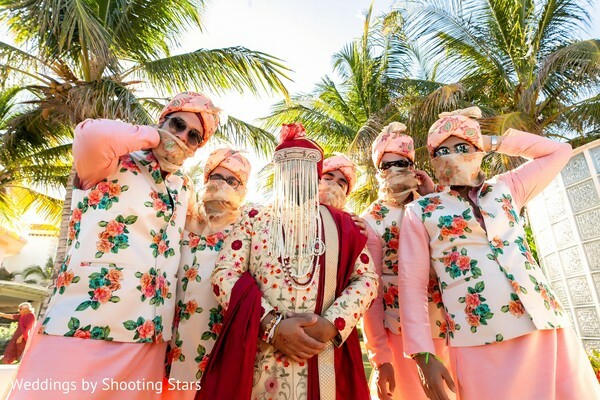 Tina and team from KSD Weddings made us feel so at ease since the morning, DJ USA (Max and Rohit) walked us through everything ahead of time and made sure everything was taken care of. 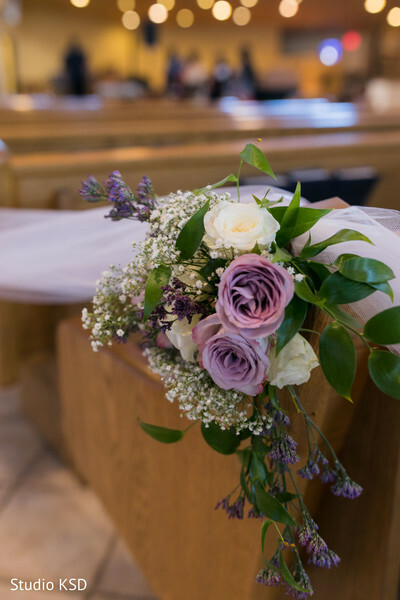 Lucien's Manor was so helpful in setting everything up and taking care of us in the days leading up to the wedding and the day of. 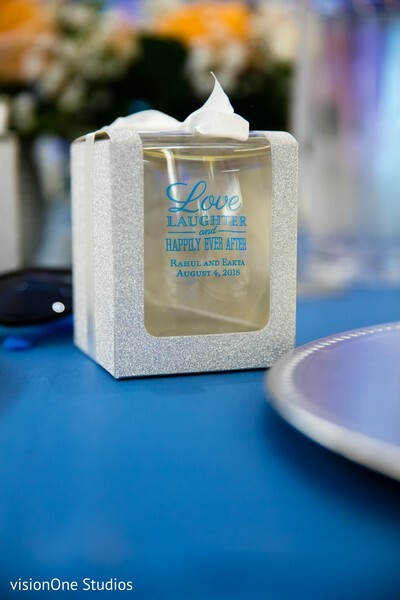 The entire Lucien's Manor team was so helpful throughout the day and the entire process of planning this wedding! 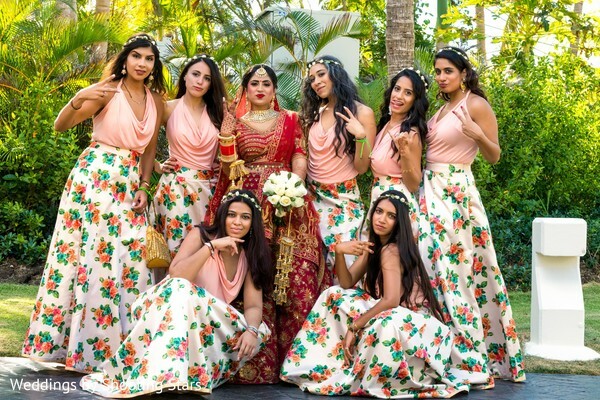 Partyland Sajawat and AJ Photo Video were also vital in making the day special too! That is all for today, Maharanis, but be sure to check tomorrow for more! 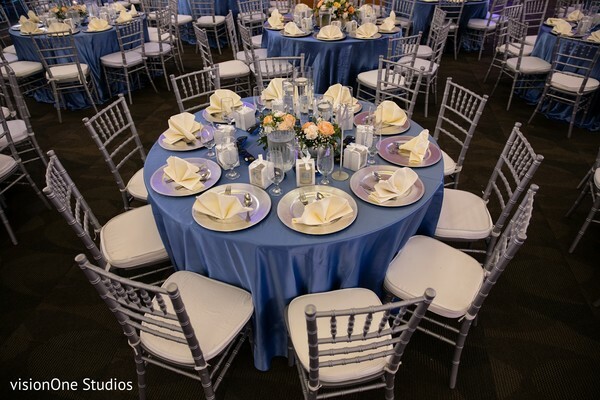 Studio KSD, Partyland Event Design Boutique and Xquisit Events are members of the Platinum Guide. Love what you see? Explore their portfolios. We are very excited about this following feature! 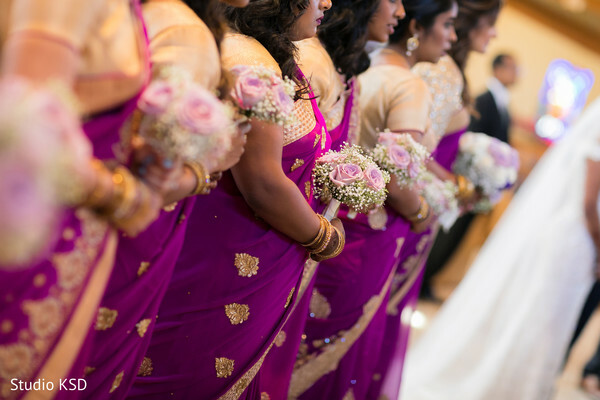 Weddings that incorporate different elements, from different backgrounds, always end up being amazing. 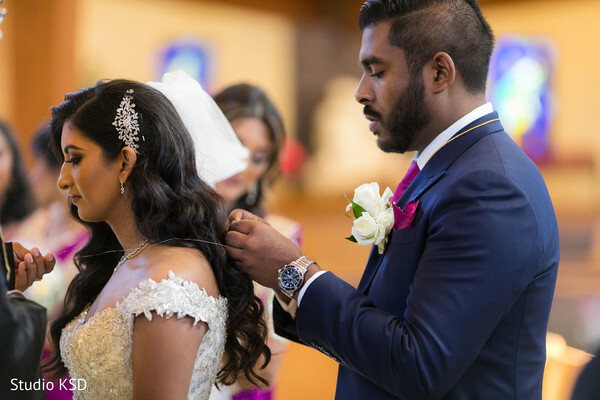 It is also amazing how our couples work tirelessly with the planners, florists and all the crew involved in bringing to life the ideas they have. There is more than what meets the eye! 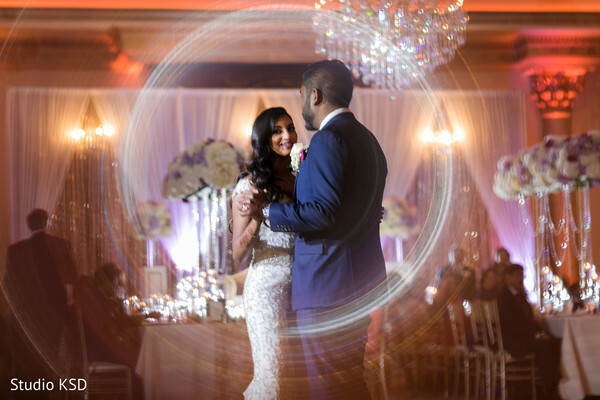 Today we have for you, from New Jersey, Daina & Justin's elegant and exclusive nuptials. 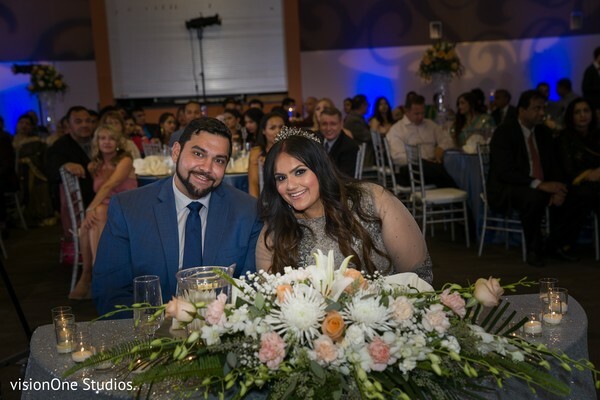 Our friends from Studio KSD were kind enough to share with us the colorful pictures they took during the events. 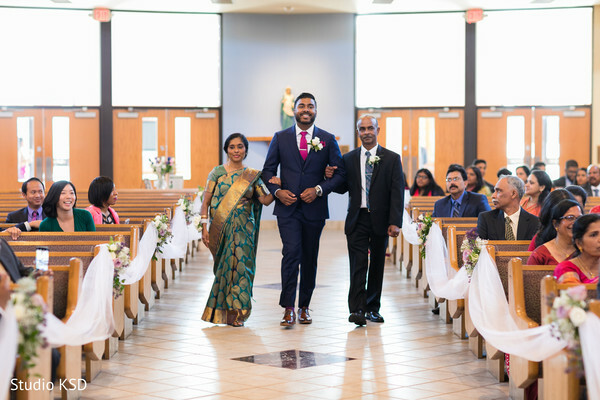 The lovely pair merged both Hindu and Christian traditions for the ceremony and that was quite a beautiful thing to witness. 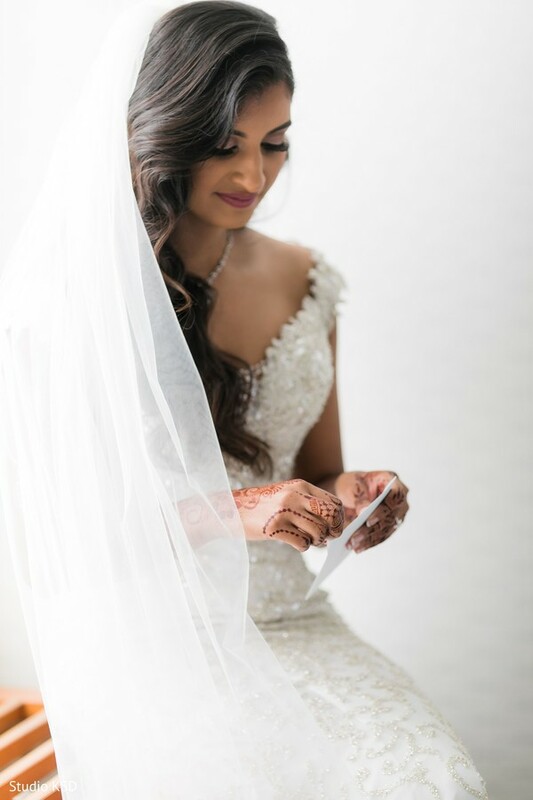 The day began early for our Maharani, she wanted to be as perfect as possible for her big day and she succeeded of course. 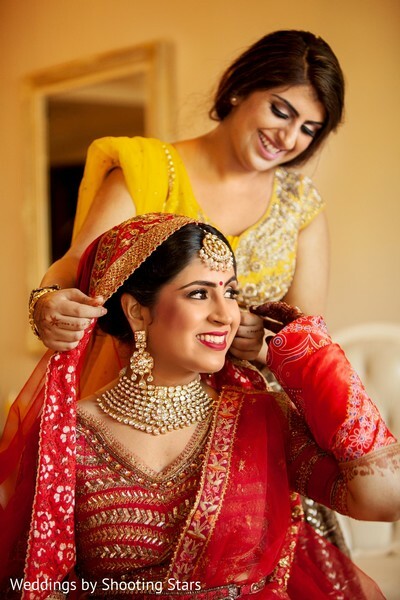 Dawn Gomez shared her talent and turned our bride into an even more beautiful Maharani. 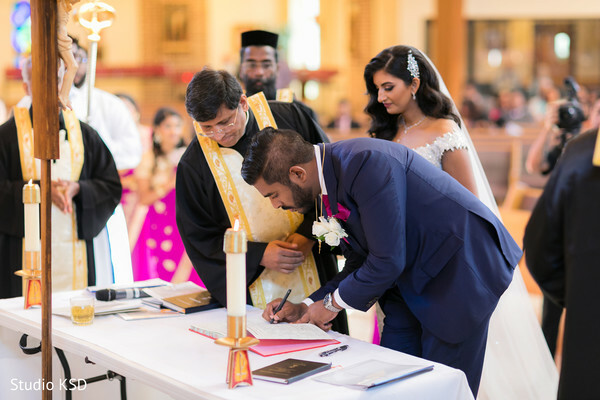 Our Lady of Hope Church saw our couple swear to each other the love that everyone seeks, but that few are lucky enough to find. What it's true is that this celebration was meant to cherish and nurture it. 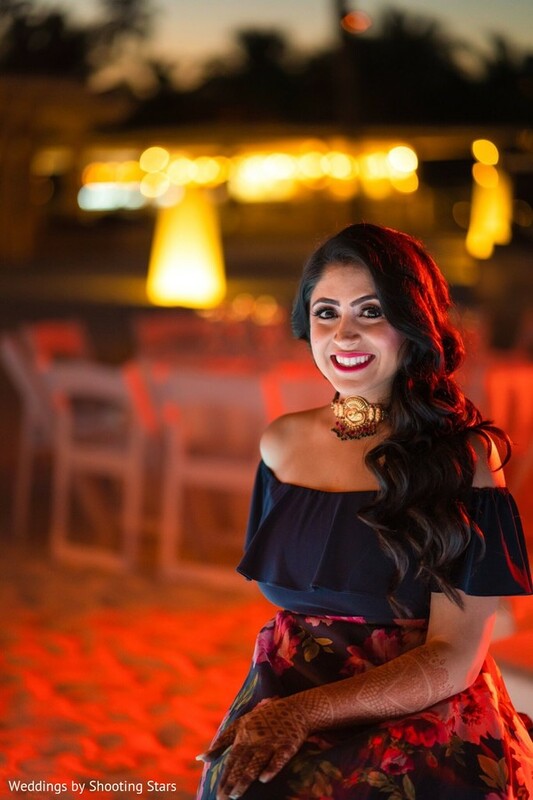 For that reason, it is my pleasure to share it with you, hoping that the warmth of the smiles and the joy of the guests, touches and inspires you. 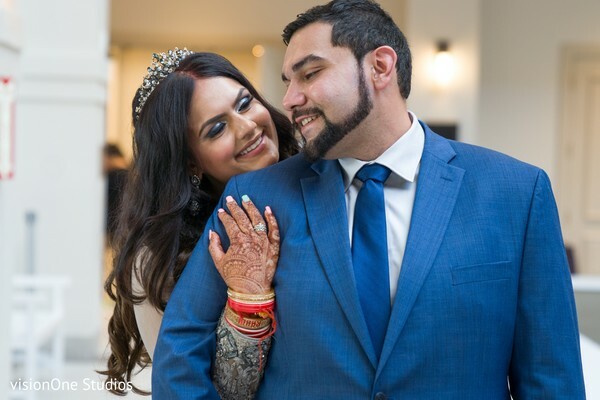 So, check out the full gallery, showcasing Daina & Justin's love story. Stick with us ladies! Part two is coming next! 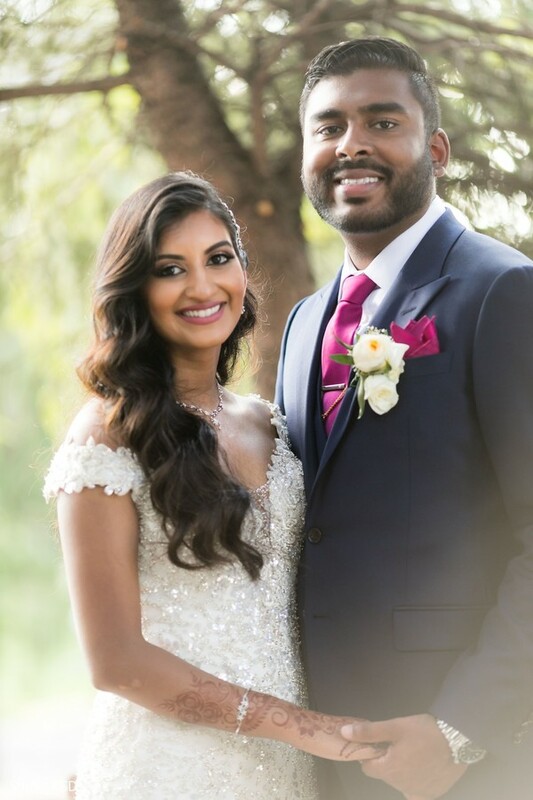 Make sure to check out their wedding highlight! 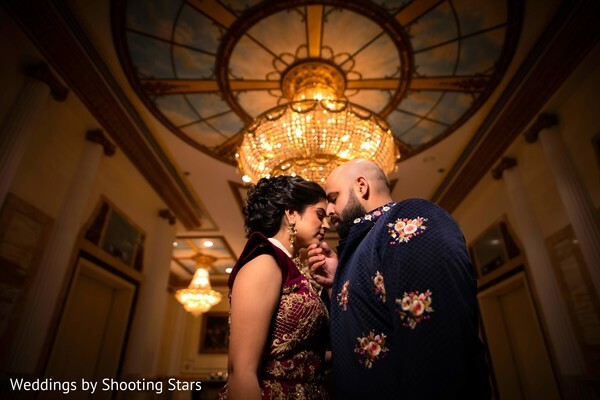 Part two of Gunjan & Aviral's sunny bash has arrived, Maharanis! 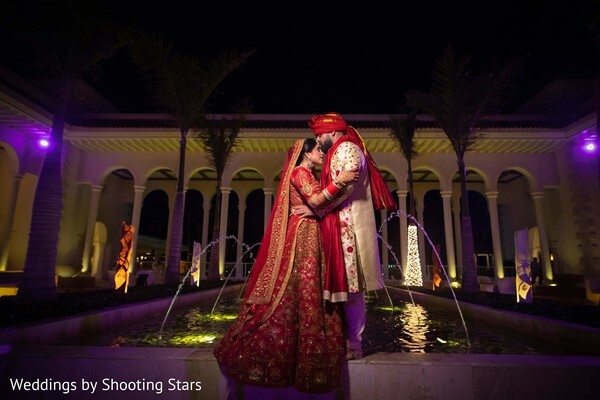 Like we saw on the first installment, our lovely couple went absolutely big with the celebrations. 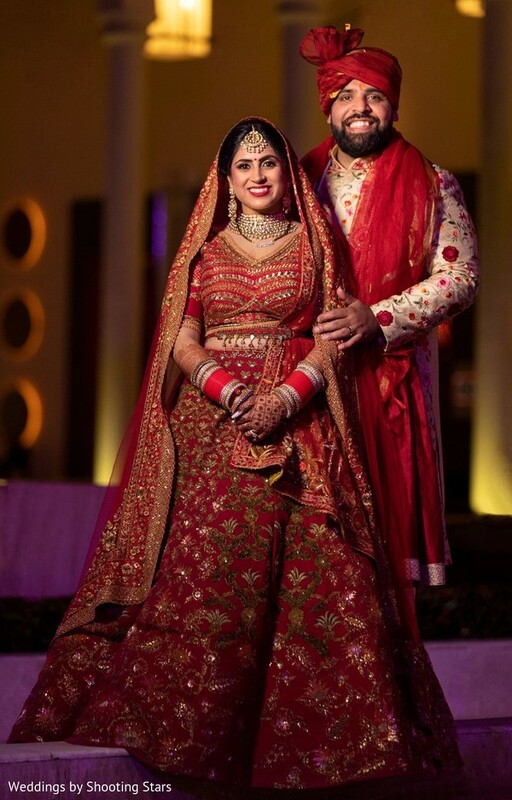 We are completely in love with the style displayed in every single one of the events. 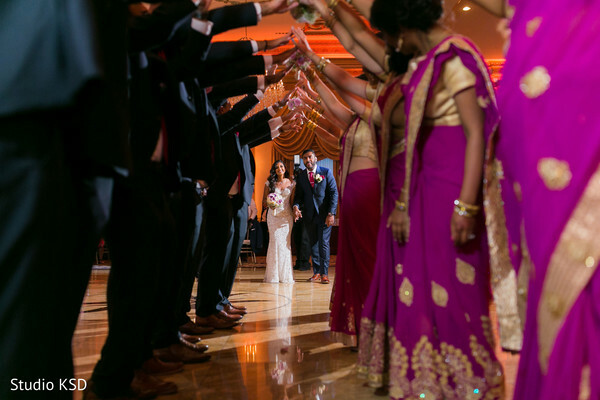 Every element and aspect of the ceremonies was top notch. 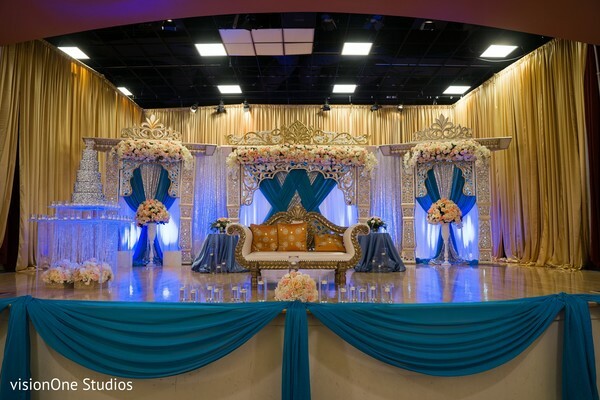 The couple recruited Touch of Elegance Events for the planning and design and we know the capacity of the crew. It was no surprise the overall glam of the galas. They also teamed up with our good friends from Exclusive Events NY, who brought the floral designs and decorations of the event. 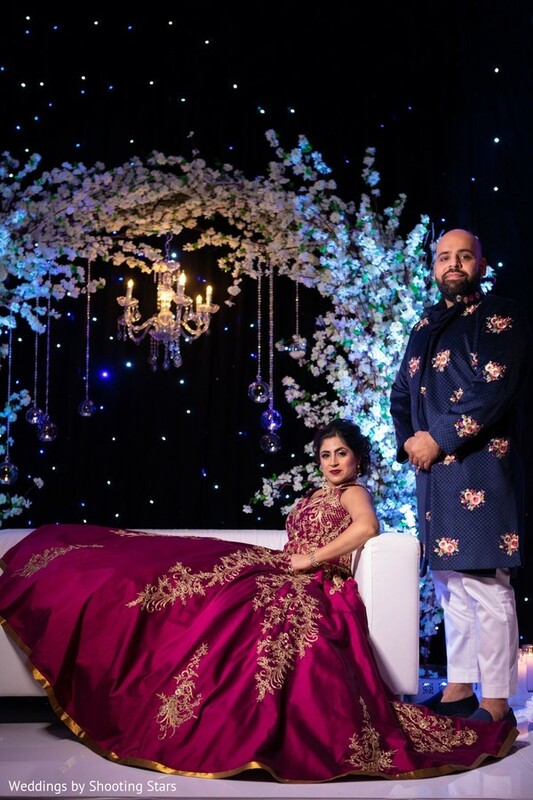 Seriously, in a bash this big, you need the best and Maharani Gunjan and Raja Aviral surely did find it. The host for the ceremony and reception? The Paradisus Palma Real, of course, a fascinating venue that suited them perfectly, en every sense. 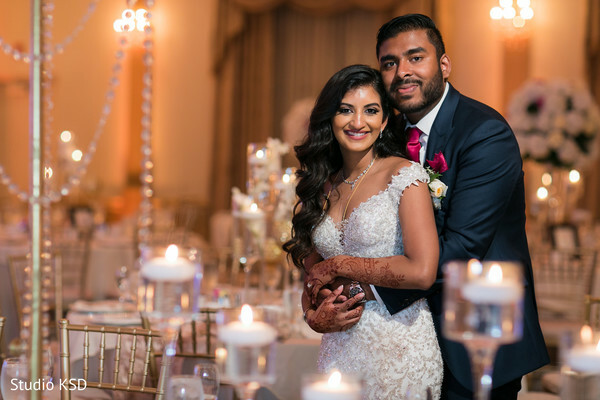 It is safe to say that this wedding will make you want to pack your bags and experience the glamour big time! 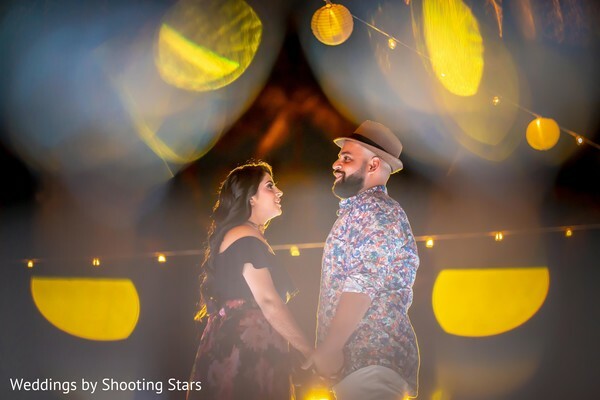 We can't forget about the most special guest of them all, love, and our friends from Weddings by Shooting Stars, surely captured the manifestations of it in every laughter and every joyful moment of this incredible nuptials. Peruse through today's gallery and get more details of the ravishing spree! Hope to see you soon, Maharanis! And don't forget, there is a new feature every day! 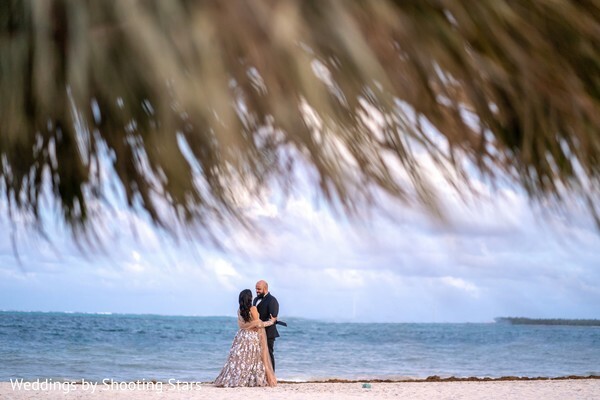 Punta Cana, a dreamy location to spend some amazing days, can you just imagine having the ocean as a backdrop and soft white sand between your toes as you say "I do"? 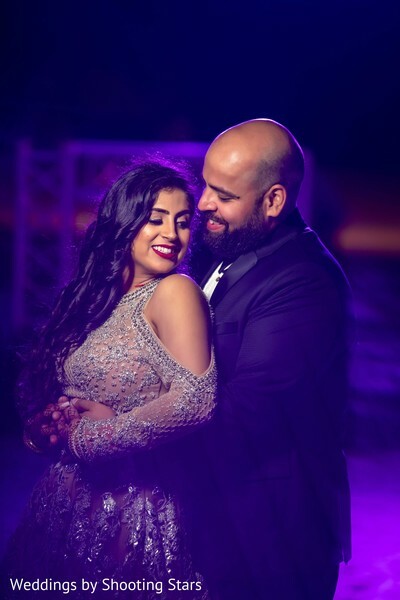 Gunjan & Aviral didn't just imagine it, they decided on a destination wedding in the fantastic grounds of Paradisus Palma Real. 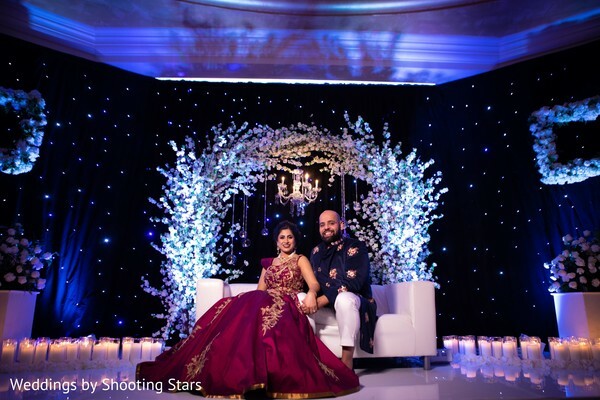 And to record a one of a kind event, the super talented team of Weddings by Shooting Stars was there ready at all times, they also directed and created their highlight reel. If you haven't seen it, you can get yourself inspired here! 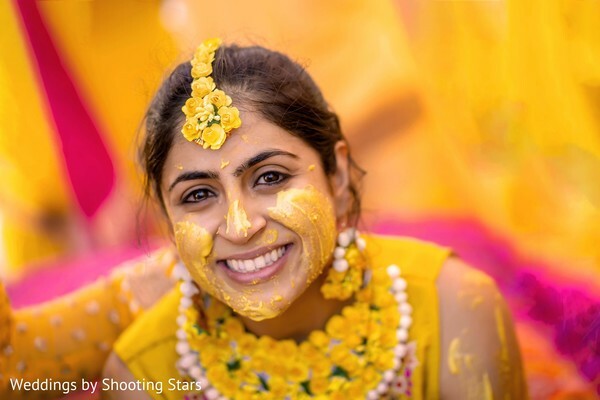 From the sunny Haldi ceremony to the captivating Hindu ceremony, everything was like a dream come true. 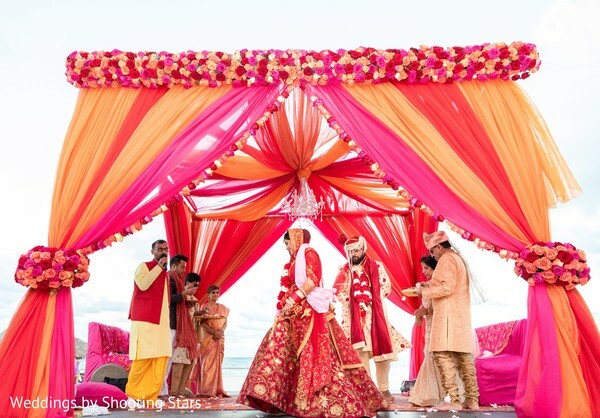 I just loved how the colorful mandap pops out against the ocean! 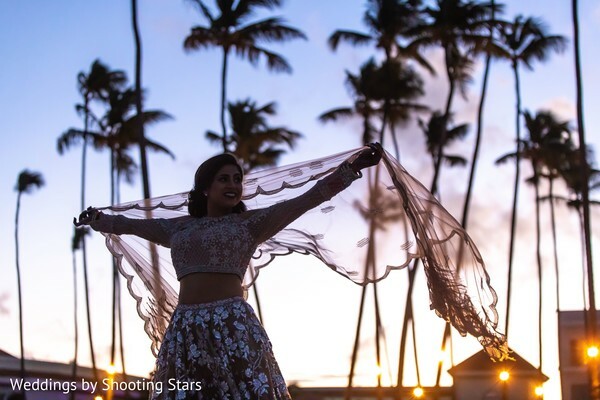 Our Maharani was looking out of this world. She wore different cheerful and vivid attires for every ritual, that I'm sure are going to be on your shopping list this summer, Maharanis. 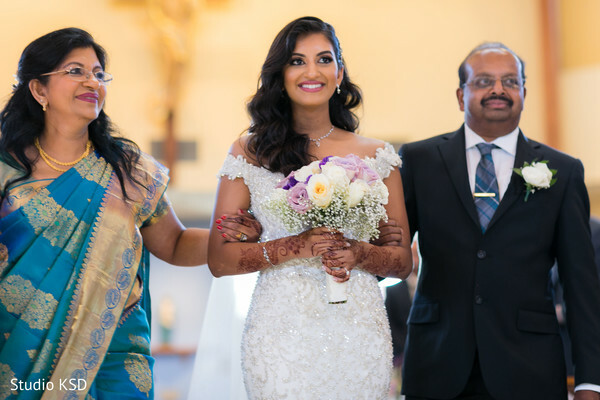 A loving shout out to Nina's Herbal Salon & Spa, who dolled up our bride and left her absolutely stunning. 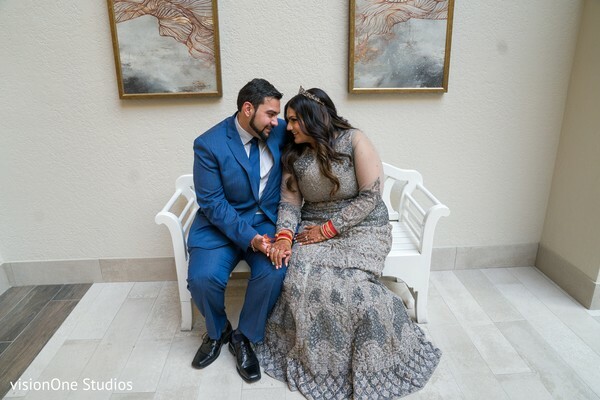 So join us next for the first installment of Gunjan & Aviral's path to the aisle in our full gallery! See you in a bit for the super glam bash!